Bricklayers mainly build and repair walls and other brick structures, with some specialising in working with old brickwork and masonry. Far from being an unskilled, easy job, being a bricklayer can be challenging, varied and ultimately highly rewarding. You do not need to hold any formal qualifications to become a bricklayer. However, practical experience is essential. Consider becoming an apprentices. A three-year Apprenticeship scheme will let you earn money while you learn your trade. Alternatively, sign up for a college course such as the City & Guilds Certificate in Basic Construction Skills. According to the National Careers Service, as a standard bricklayer you can expect to earn around £15,000 a year. Once you’re fully-qualified, you can further your career by taking on supervisory roles on the construction site. Quite simply, bricklayers lay bricks. That is, they build and repair walls, whether they are for new homes, commercial properties or engineering projects such as bridges and tunnels. Additionally, some bricklayers specialise in repairing and refurbishing old brickwork and masonry. Analysing architectural plans, measuring work areas and laying down markers for new walls. Laying bricks, applying mortar and, where necessary, shaping and trimming bricks either with a handheld chisel or with a power tool. Ensuring that lines are straight and the architectural plans are being accurately followed. Making sure that all the relevant health and safety rules and regulations are being followed at all times. Many bricklayers work for construction companies, though you may also work on a freelance basis, going from project to project. Additionally, most of the work is carried out Monday-to-Friday, nine-to-five, though if there are deadlines to be met, you may be required to work unsocial hours. You do not need to hold any formal qualifications to become a bricklayer. In fact, many of the best bricklayers leave school with few – or no – GCSEs or A Levels. That said, most employers will expect you to have experience of working on a construction site and many will also want you to show an aptitude for bricklaying. One good way of getting into this line of work is to try and get an Apprenticeship with a local building company. To find out more about such schemes and to search for opportunities near you, visit the official Apprenticeships website (www.apprenticeships.org.uk). At the same time, prospective employers will also look for proof that you are reliable, able to work in an organised way as part of a team, are able to read and follow plans accurately, are punctual and reliable and that you have a good level of fitness. Even if you have a relevant certificate alongside practical experience on a building site, many employers will also ask that you have a CSCS (Construction Skills Certification Scheme) card before they take you on. For more information on getting a card, visit the official CSCS website (http://www.cscs.uk.com/). Once you have the card, employers can not only be confident that you have the skills needed to go a good job but that you have a solid appreciation of health and safety matters. Once you’re fully-qualified, you can further your career by taking on supervisory roles on the construction site, or you may want to move into specialising in working with old masonry, a field that may be more interesting and can often be more financially-rewarding. According to the National Careers Service, as a standard bricklayer you can expect to earn around £15,000 a year, though rates may be higher in London and other big cities. Experienced bricklayers, meanwhile, can earn between £23,000 and £30,000 a year, with overtime and other benefits also boosting your pay further still. Other benefits of working as a bricklayer include being able to work in the fresh air most of the time, being able to work as part of a small team and being able to take great satisfaction in a job well done. Bricklaying isn’t for everyone. Not only can it be physically demanding, but it can require you to work in inclement weather, often for relatively low pay. Additionally, the work can be risky, though the vast majority of sites ensure high levels of health and safety are upheld at all times. Arguably the best place to look for bricklaying opportunities is through the Jobcentre Plus (https://www.gov.uk/jobsearch). 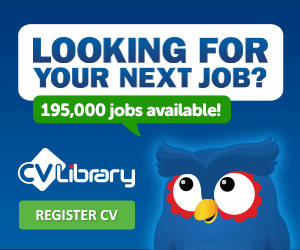 Here you can look through thousands of vacancies, searching for the ideal new position for you. Alternatively, look for opportunities on the specialist Careers in Construction website (http://www.careersinconstruction.com/) or simply ask around local building firms.